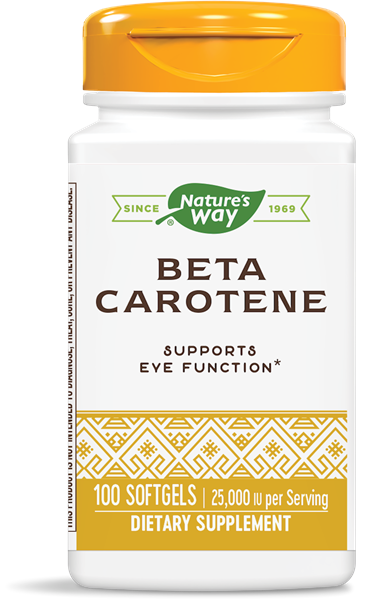 Natural Beta Carotene / 100 Softgels - Nature's Way®. Beta Carotene combats free radicals and oxidants that damage cells and DNA. * It can also be converted into Vitamin A in the Liver. Take 1 softgel daily, preferably with food. If pregnant, nursing or taking medications, consult a healthcare professional before use.